For the past three years, the aim of the developers behind whited00r has been to bring increased speed and newer features to the original iPhone and iPhone 3G – as well as the first and second generation iPod touch – via custom firmware builds delivered to specific iDevices. Previous versions of whited00r have brought new features such as multitasking, folders, voice control, and video recording. With iOS 7 featuring a major graphical overhaul, the whited00r team had a new challenge – and what a fantastic job they have done with whited00r 7, bringing this new look to older iDevices still running OS 3. 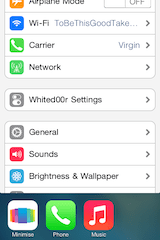 To install whited00r, you need to download the correct ipsw for your device at whited00r.com. 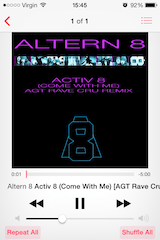 Connect your iPhone and load up iTunes. Then click your iPhone from the left panel, and you should be faced with the summary screen. Load up iTunes. Hold the Alt key and click the ‘Restore iPhone’ button (hold Shift instead of Alt if you are using Windows), locate the file you downloaded, and click open. If all goes well iTunes should do its magic, and your iPhone will reboot to the Apple logo with a progress bar, and about 10 minutes later your iPhone should be ready with your custom firmware. Be sure to set up your phone as new and not restore from backup. If you get an error when installing. You might need to download RedSn0w – version 0.9.14b2 is recommended – then put your phone in to PWN DFU mode. From the moment your iPhone reboots into whited00r 7, you will notice the brand new look – and boy have the whited00r team pulled out the stops in terms of looks. 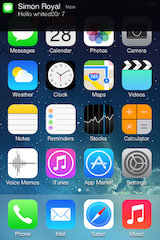 Keep in mind this is a re-skinned iPhone OS 3 made to look as close to to iOS 7 as they could. The work is remarkable. 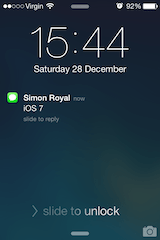 iOS 7 is for the iPhone 4 upwards that features the super crisp Retina Display at 960 x 640 vs. the regular display of 320 x 480 of the iPhone and iPhone 3G, meaning nothing will look as high resolution on these devices, but the end results are still superb. So let’s have a look around. The lock screen features a beautiful backdrop, a thin typeface on the clock, and a new addition for whited00r is the camera icon in the bottom right corner. There are some slight differences. The task bar is transparent but still with a dark band. There are no pull icons for the notification window or Control Centre, as you cannot pull down from the top. 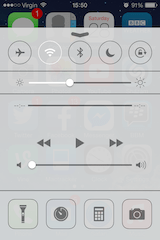 However Control Centre is there: Simply swipe up from the bottom like on iOS 7. The home screen follows the lock screen, showing off the amazing visual reworking with an iOS 7 look icon set as well as the new style dock. 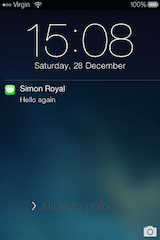 One cool new feature is the inclusion of lock screen and home screen banner notifications for SMS. The lock screen varies slightly in positioning. 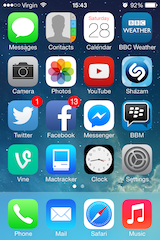 The home screen banner looks identical with it, minus the drop down for Notification Centre. Pressing on the banner will load the Message app. The Settings screen takes on the white background of iOS 7 but retains some of the look of previous versions. The slider buttons are still square as opposed to the rounded ones introduced in iOS 6, but they take on the green/white colour scheme. 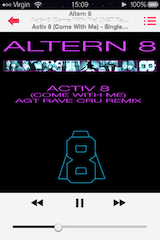 When playing music, iOS 7 has the track info and controls at the bottom in one line, however WD7 which has the track info at the top in separate lines, but buttons at the bottom, whilst taking on the new colour scheme of iOS 7. 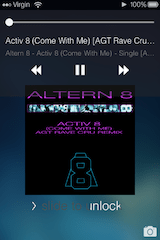 Music on the lock screen in whited00r 7 features no controls, just album artwork until you double press the home button, which brings up the info and controls whereas iOS 7 has them as soon as you wake up the display. 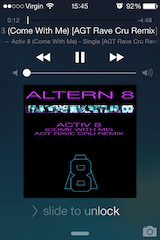 Thumbnail placement is in the same place, but track info placement is slightly different. The web browser has had an overhaul too, having a sleek new look – leaving behind the well known Safari browser that used to look like the desktop version. The browser screen in whited00r 7 looks identical to iOS 7 – even down to the buttons at the bottom, although the bottom bar in whited00r 7 is blue, whereas iOS 7 is white. By default, whited00r 7 uses the old style split address and search bar, but this can be adjusted in WD Settings to use Unibar under Advanced. whited00r 7 doesn’t have the new tab browsing system, but this may be down to the limited graphics capabilities and speed of older iDevices. The sharing screen has been revamped. Whereas whited00r 6 allowed sending to Facebook, Twitter, and Google+ (something even regular iOS 6 couldn’t do), whited00r 7 reverts to a text based version only offering email photo, send to mobile me, assign to contact, and use as wallpaper. This is mainly due to performance issues. 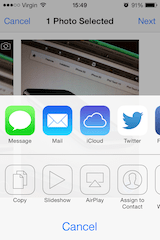 iOS 7 has a whole host of sending options such as Message, Mail, iCloud, Twitter, Facebook, and Flickr as well as copy, slideshow, airplay, assign to contact, use as wallpaper, and print. Apple really stepped up the sharing options in iOS 7. You can’t fault whited00r 7 here. It is working with limited hardware resources and has to make a happy medium between feature and performance. The multitasking options have changed in whited00r 7. 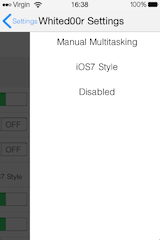 You now have a choice between Manual Multitasking, iOS 7 Style, or disabling it altogether. Manual Multitasking brings full control, meaning apps can run in the background and you have to close them. It acts just like multitasking in iOS 6, it uses the older style where open apps appear at the bottom. 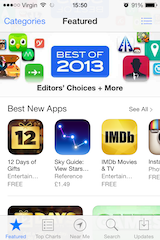 iOS 7 Style gives you access to recently used applications. 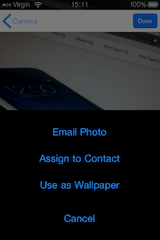 Double pressing the home button will load what looks like the iOS 7 multitask screen – with a difference. You cannot swipe up to get rid of apps, but you can select them from the list. This will load that app. It is more of a shortcut than actual multitasking. Oddly, I couldn’t screen grab it. You also have the option of disabling multitasking altogether. 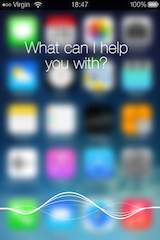 Sara is a version of Siri that works on jailbroken iPhones below the 4S (which officially has Siri). Sadly, while Sara appears to be a pretty good Siri clone, the hardware in the original iPhone really has a hard time keeping up. Perhaps it would run better on faster hardware in the 3GS or 4. I cannot compare this to iOS 7, as I only have an iPhone 4, which never officially receive Siri. Having even a slow version of it on my original iPhone is a nice addition to play with, but those with official Siri would find it slow and buggy. 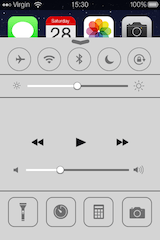 Control Centre is one of the neatest new features of iOS 7, and I was so surprised to see it make it in to whited00r 7. 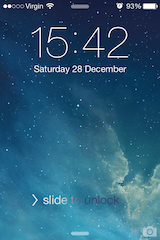 It has an identical look, with the iOS 7 one having a slight transparency enabling you to see the icons underneath. 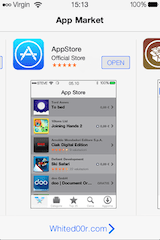 One of the biggest attractions for whited00r is its inclusion of its own app store called AppTimeMachine, alongside the official App Store and Cydia, the jailbreak store. 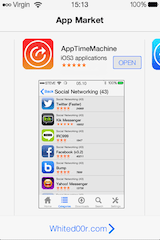 AppTimeMachine brings OS 3 compatible versions of apps to your device. 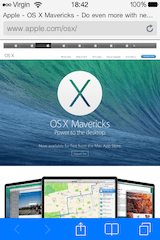 Apple recently “broke” the App Store for devices running OS 3. You needed to install them from iTunes, and despite Apple’s new strategy of offering “last compatible” versions of apps for those on older versions of iOS, this only works on iOS 4 upwards. The whited00r AppTimeMachine is the only way to install OS 3 apps directly on your older iDevice running OS 3, other than Cydia. 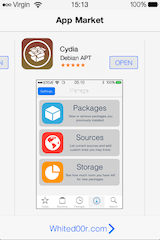 Cydia, as most jailbreakers know, is the big bad place to get unofficially supported apps, hacks, and tools. Whited00r is customisable. You can turn off features you don’t think you will need to increase speed of your device. This was previously accessed via Terminal, but whited00r 7 now has its configurator as a menu in Settings. You can turn off Wallpaper, Folders, Multitask options, Sara, Banner Notifications, and Cell Data. 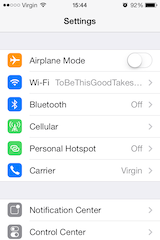 The advanced options give you extras such as Backgrounder, Safari Unibar, as well as visual enhancements, and notification can be tweaked along with whole host of advanced features, such as VPN and tethering. 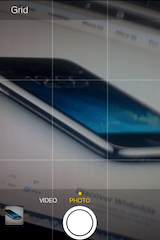 The camera app has had the iOS 7 visual overhaul too. The obvious lack of flash or front camera on older devices means it loses some of the onscreen icons from newer devices, and it doesn’t offer any other camera modes such as square and panorama. 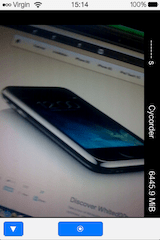 Jailbreaking adds video camera functions to the original iPhone in the form of Cycorder, which is also included in whited00r 7. 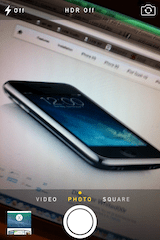 It can be accessed from the camera app but then launches a second app. While the main new feature of whited00r 7 is its look, it has new features such as Control Centre, and the visual tweaks and revamped apps bring a new feel and extra speed to an already fast firmware. The whited00r team do make a point that it was never intended to be a perfect replica of iOS 7, but as close to it as a OS 3 could be. It’s all good looking at the new firmware, but how does it perform? Could it be used daily? The increased speed in previous versions made the iPhone and iPhone 3G usable in 2012, but is this carried through in whited00r 7? I have been lucky enough to run the beta versions, so I have been testing whited00r 7 for a few months. Each beta release has become more stable and faster. 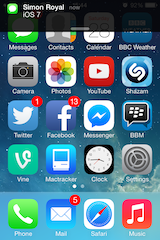 For two weeks solid I used my original iPhone (on beta 7), and it performed brilliantly. I was connected to my WiFi network and used it for calls, texting, emailing, Facebook, Twitter, and web browsing. Calls, texts, and emailing are basic. It coped with these easily. Facebook runs very well, loading in a very reasonable time. It is an older version (3.5.2??? ), and while it lacks some of the newer features, it ran very fast. Twitter looks almost identical to the new version and runs fast too. The original iPhone has become one of the best smartphones for battery life. Slammed when it was released, all smartphones to follow suffered the same problem, and it turned out the original iPhone wasn’t that bad after all. With whited00r, battery life is even better. With a SIM card in, WiFi connected, Facebook and Twitter installed, and offering push notifications as well as emails being fetched every hour, I left the phone on standby, and it reached a dizzying four days exactly. This was under various betas, so I expect the final version to fare just as well. Obviously with heavier use it would drop, but it could easily push two days. When you consider the new features and new pressures whited00r brings to the aging iPhone, you would expect the battery to drain quickly, especially a 5-year-old battery, but it doesn’t. Battery optimisation is fantastic. 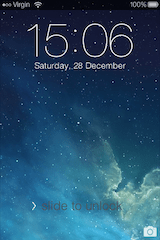 To see just how optimised the whited00r firmware is, I compared it my iPhone 4 running iOS 7. The original iPhone has a 412 MHz processor and 128 MB RAM. The iPhone 4 has an 800 MHz processor and 512 MB RAM. That is a big difference. I upgraded my iPhone 4 to iOS 7, and despite it being the lowest iPhone to support iOS 7, it really handles it very well. 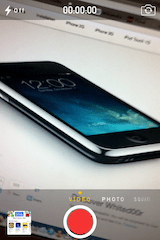 No matter how much tweaking you do, an original iPhone will not outperform newer iPhones – purely from a hardware perspective, but the team at whited00r have done an amazing job optimising their firmware in an attempt to bridge the gap. Calling and texting: Both devices are level. These are simple. Emailing: The iPhone 4 jumps slightly ahead. The Mail app loads at the same time, but the iPhone 4 loads message headers slightly faster. Twitter: The iPhone 4 took 9 seconds to load and refresh content. The original iPhone took 11 seconds to load and refresh content. Facebook: The iPhone 4 took 14 seconds to load and refresh content. The original iPhone took 19 seconds to load and refresh. YouTube: The iPhone 4 took 8 seconds to load. The original took 5 seconds to load. The old iPhone was actually faster loading YouTube. While most of the apps took a bit longer to load, it wasn’t painfully longer. They still loaded in a respectable time, and we are talking about a device with half the processing power and twice the age. A round of applause once again for the whited00r team. It is nice to have my 2007 iPhone sitting beside me sporting a 2013 look. Okay, so the functionality hasn’t changed that much from whited00r 6, but then we are talking about an OS 3 device – how many extra features can they cram in that they haven’t already and have Apple really changed iOS 7 over iOS 6 apart from the major cosmetic overhaul and a few nice new features. A beautiful looking OS, on a beautiful device that Apple has long forgotten about. The whited00r team have over the past few years been the single reason the iPhone and iPhone 3G has kept alive, and this is set to carry on for at least another 12 months. With the hardware of the original iDevices becoming more and more dated, how much longer whited00r will continue to support them is a question on every whited00r fans lips. Despite the speed and power of the iPhone 4, there is something about the original iPhone I just can’t leave alone. The legacy, the design, the quality. This is some of the reason I have such interest in the whited00r project. 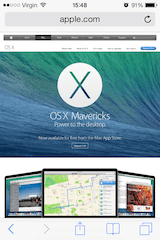 As someone with financial restrictions, it is often hard to keep up with Apple’s fast pace. I recently considered ditching my iPhone 4 and picking up an original iPhone – partly due to the marvelous effort of the whited00r team. whited00r 7 is amazing. If you have an original iPhone then there is no reason why you shouldn’t upgrade it and experience it.